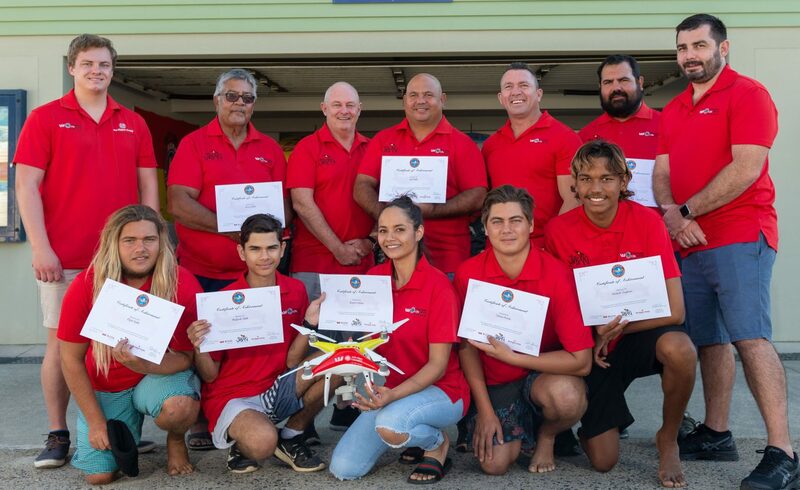 The Juraki Surf Culture group from Fingal in New South Wales Australia newly trained indigenous UAV pilots – Kevin Slabb, Joel Slabb, Aubrey Phillips, Clinton Penola, Kyle Slabb, Elijah Slabb, Kaleb Slabb, Malachi Urquhart, Rajarni Gibson and Budjerah Slabb with the Westpac Little Ripper team – Eddie Bennet-Ripper Group CEO, Ben Trollope, Michale Kirby, Sam Bennet. Congrats to all of you. Job well down.